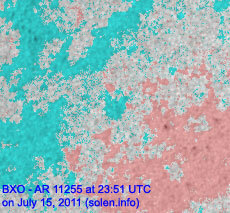 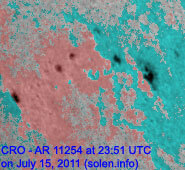 Last major update issued on July 17, 2011 at 05:55 UTC. 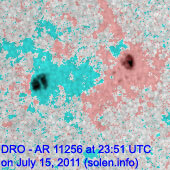 Minor update posted at 08:40 UTC. 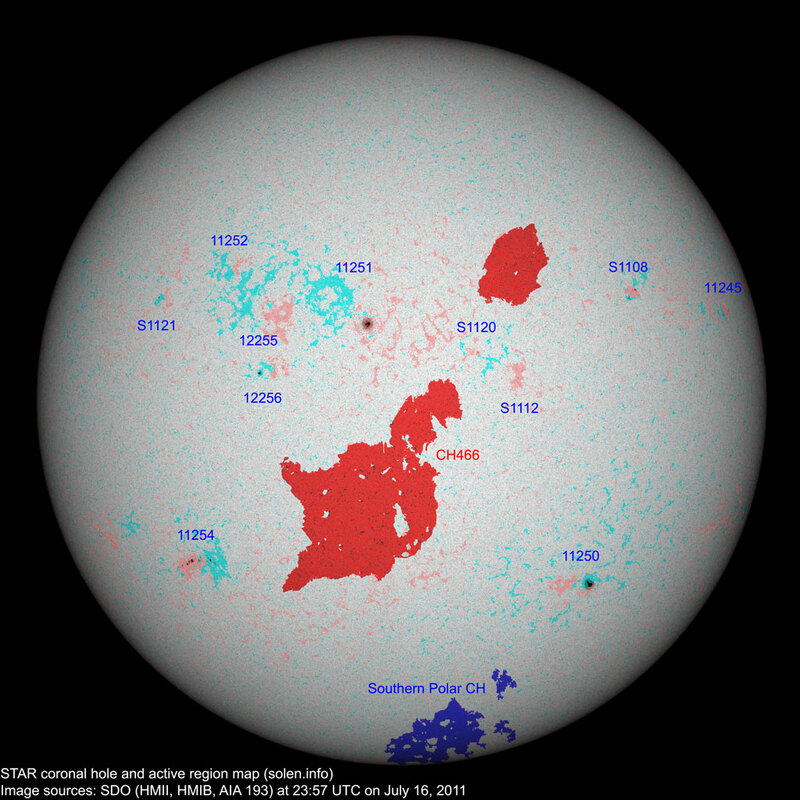 The geomagnetic field was quiet on July 16. 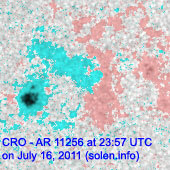 Solar wind speed ranged between 346 and 462 km/s. 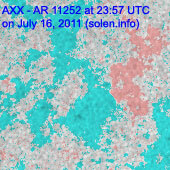 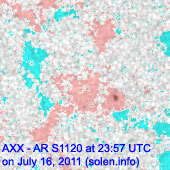 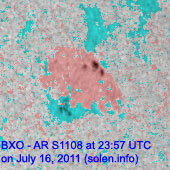 Solar flux measured at 20h UTC on 2.8 GHz was 93.8 (decreasing 5.3 over the last solar rotation). 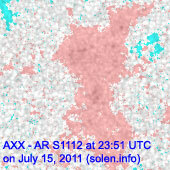 The planetary A index was 6 (STAR Ap - based on the mean of three hour interval ap indices: 5.9). 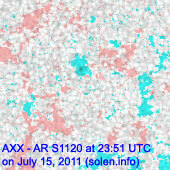 Three hour interval K indices: 11111222 (planetary), 12221211 (Boulder). 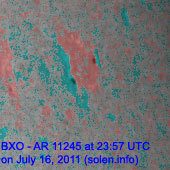 Region 11252 decayed and could soon become spotless. 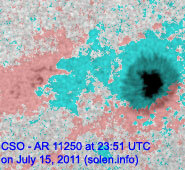 Minor update added at 07:40 UTC on July 17: Region S1108 is developing very quickly and could produce C flares (the classification is currently CAI). 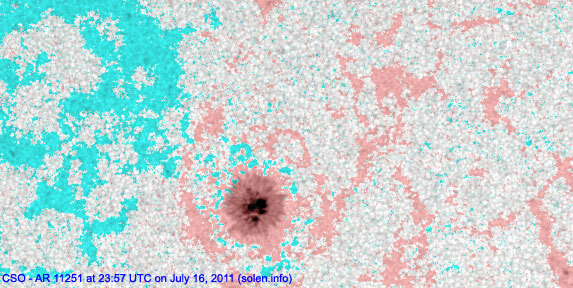 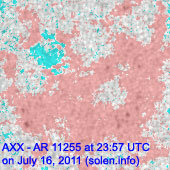 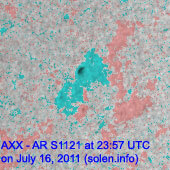 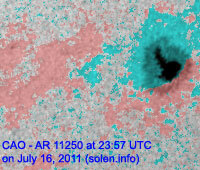 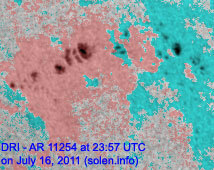 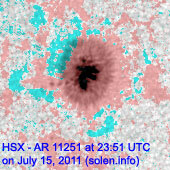 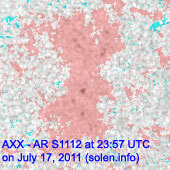 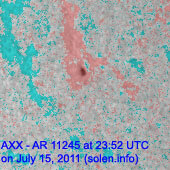 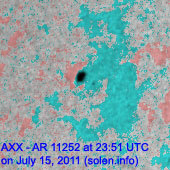 Additionally there is an active region at the northeast limb which could be capable of C class flaring. 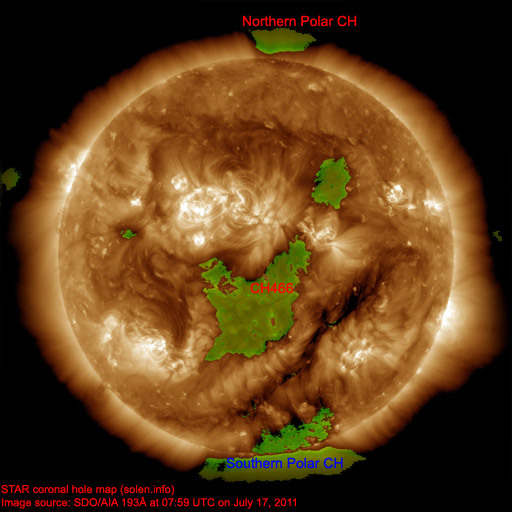 The geomagnetic field is expected to be quiet during the first half of July 17, there's a chance a high speed stream from the northwestern part of CH466 could reach Earth later in the day and cause quiet to active conditions. 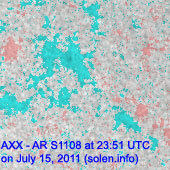 The southern part of CH466 likely will cause unsettled to minor storm conditions on July 19-20.